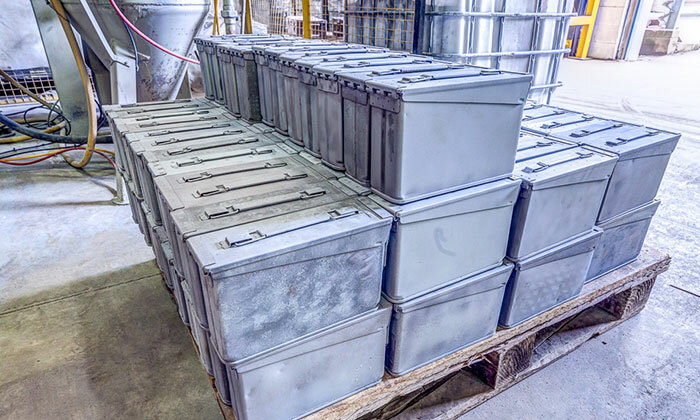 We have over 50 years experience in the refurbishment of ammunition containers in accordance to Def Stan 81-102 and associated packaging components for UK MOD and prime defence contractors. We are the only company in the UK who offer this type of service and our specialisms in this industry include plastic media blasting, painting, repair/replacement and the assembly of metal, wood, plastic, foam and cardboard components. 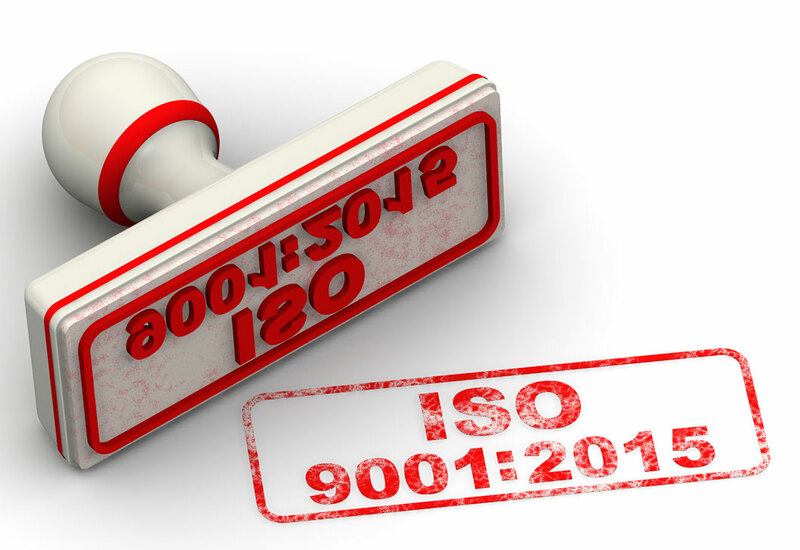 We have purpose built production lines designed to efficiently process over 500,000 units per annum, manned by certified ICATS Industrial Coating Applicators workforce. We shot blast up to 3,000 units per shift on either our purpose built four wheel monorail blast machine, or utilising plastic media stripping methods to facilitate zero substrate loss, and remove old coating with minimum damage. Paint coatings systems to Def Stan 80-25 are applied using our powered track wet paint facilities. 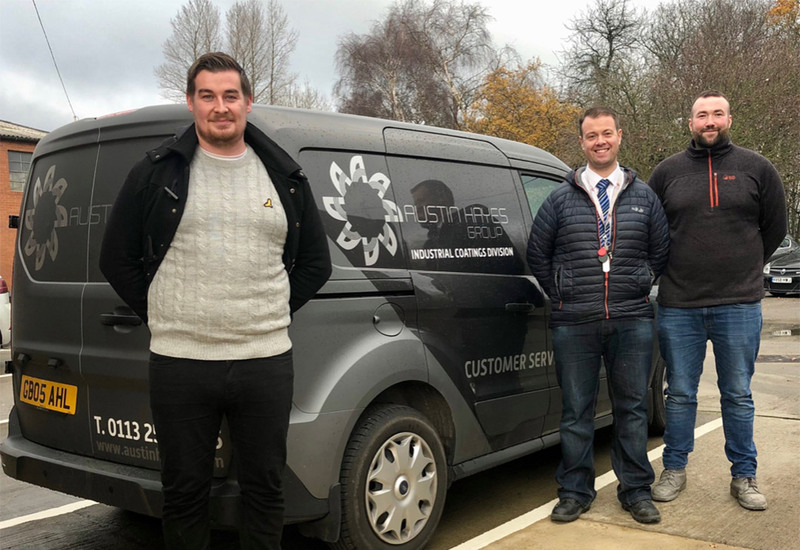 In 2015 Austin Hayes were invited to take part in round table discussions with Cabinet Minister Frances Maude MP, Crown Commercial Services and representatives from industry SMEs. Julie Bickerdyke attended the discussions in February. In 2014 Austin Hayes were quoted in Lord Young’s Report On Small Firms 2010 to 2015 as an example of the Government working well with small businesses (page 44). Austin Hayes was recognised at the Minister for Defence Equipment, Support & Technology Acquisition Awards held in November 2012. The award was presented in Whitehall by the Minister, Philip Dunne MP. This award recognised “achievement of excellence” and demonstrated that we made an outstanding contribution to those who depend on the MOD for their supply needs.